At Serendipity Beyond Design, we specialize in custom-made invitations that will present your event or announcement the way an invitation should...special, unique, and truly yours! Our creations include: Wedding Save the Dates, Wedding Invitations, Party Invitations, Thank You Cards and More. Any detail of the designs shown on our website can be altered to reflect you and your event - in fact, we never create the same invitation twice! Contact us with your ideas and inspirations and we will bring them to life — together we can be extraordinary! I am so torn about this review - the invitations themselves were stunning. Just gorgeous - unfortunately some of them were undeliverable and returned in the mail bc the ink on the envelope smeared so it was not readable. I would recommend not using the brown kraft envelope or not using their envelope printing service. Ginger was great to work with! My Save the Dates were perfect and shipped quickly! Our new studio space in Washington, MO! Any design in our store can be customized, oh yes! This includes fonts, colors, locations, maps, graphics, etc. - that is why you are purchasing what we call a "DESIGN FEE" to get started. The options are pretty much limitless, and we like pushing the envelope! See a design you like, but not a whole suite? Yes, we can customize the suite to reflect the items you need (additional inserts, embellishments, maps, etc.). If you don't see what you are looking for, consider the designs/photos shown as a jumping off point for your own custom design. Note to international clients: We'd love to work with you, however, there will be an additional design fee for invitations created in a language other than English. You will also need to provide the exact language translation to ensure accuracy. 1. Purchase the Design Fee** you like best from our Etsy store: http://www.etsy.com/shop/beyonddesign?ref=si_shop. We will email you within 24 hours with the next steps in customizing your order (for detailed information about the Design Fee and what it includes, please refer to our FAQs: http://www.serendipitybeyonddesign.com/frequently-asked-questions). You will be asked to fill out a design form in Word to provide your details and wording. 2. Email us your Design Form with the information, details and inspiration for your custom design, your random thoughts/sketches, whatever you think will help us with your vision! Pinterest boards are welcome! You get 3 rounds of proofs included with your design fee, each additional proof beyond those 3 will be $10 per proof. 6. You get compliments on how unique your invitations are and your guests say how they can not wait for your event! It's likely that if an RSVP is in your suite, your guests will not want to mail it back because it's so AWESOME and they can't bear to part with it. It happens all the time. Whoa, you don't want to purchase a design fee until you see a sample first? Due to the custom nature of our work, ALL orders require the purchase of a Design Fee listing. (This fee also covers the design time spent on customizing the design for you and the press set-up of your stationery for printing.) By purchasing a Design Fee listing, you are reserving a spot with us and starting the process for your own custom design! The design fee is a separate cost and does not go towards the cost of the printed items. Please note that the Design Fee is non-refundable in the event that you decide not to place your order with us - this applies only if we have submitted your info and we have started the design. The design fee is non-refundable after 30 days, regardless if the design has been started or not. Should you change your mind through the proofing process and want a whole new design different than what has already been purchased, then a full new design fee will apply. This design fee will start the process over and allot you with 3 new proofs. It may also delay production. Once the artwork has been submitted for production, no changes can be made. Are there hidden fees? Heck no! Other than your printed items there are no other costs other than your design fee(s) and shipping. If your order total is over $250 on the final invoice, there is a 3% convenience fee to process your order via credit card or PayPal. To avoid this fee, you have the option of paying for invoice via check or money order. Orders need to be in increments of 5, and yes, there is a minimum printed quantity required that varies from style to style of invitation and is listed in each description. • Receive a 5% discount for order quantities of 100-145. • Receive a 10% discount for order quantities of 150-195. • Receive a 15% discount for order quantities of 200 and more. **Discounts do not apply to rush orders, previously printed orders, and specialty printing (letterpress, wood engraving, white ink printing or laser cut invitations). Due to the custom nature of our work, the first design proof can take 5-10 business days, depending on our schedule at the time. Every order is important to us and we strive to get the designs to you as quick as possible. However, this is a creative process and proofing times can vary. We know that sometimes it is just easier to call and speak with someone, so please feel free to give us a ring if you have any questions or concerns about purchasing a design fee or a current order, or if you would just like to chat with someone who is super fantastic. We would like to state here that any content (including designs, language, photos, etc) is exclusively copyright to Serendipity 2018. Sorry, there are no refunds on personalized/custom products. Once you give us the OK to print, any mistakes/typos that were overlooked on the final proof are the clients responsibility and a re-print fee will be charged if needed. We will try our very best to make sure everything is spelled correctly and that a consistency is maintained, but we are not proofreaders and will rely on you to make sure all punctuation and copy is correct before printing. Any mistakes deemed the fault of Serendipity will be taken care of at no cost to the client and in a timely manner. It is important to us that you are completely satisfied with the finished product! Once your order is approved to print, we will email you an invoice. You can pay online or by check/money order. Invitation orders over $250 must pay half before production, and the remainder is due before the package ships. 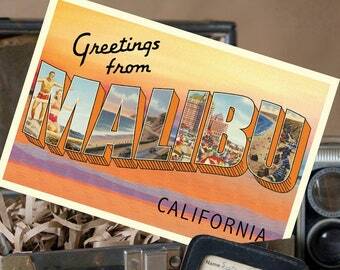 Postcard orders must pay in full prior to production. Bottom line, the balance must be paid in full before your order ships. Once it ships, we will email you the tracking info! This will increase the cost of overnight shipping, as well as international orders - please contact us if you need a quote on shipping. (Samples are shipped USPS FIRST CLASS, unless another method is requested). **Larger orders may cost more in shipping depending on size and weight of package. Shipping to Canada can vary between $30 and $60 and will ship via UPS. Shipping of invitations will only be done via UPS, and we apologize as this can be pricey - please contact us for a quote by providing the invitation style needed, estimated quantity and shipping address. Serendipity Beyond Design is not responsible for any duties, taxes or brokerage fees that may incur during customs. IMPORTANT NOTICE: Please keep in mind the shipping time associated with ordering products from another country. Shipping time for mailing the printed sample of your station will take several days, sometimes even 2 weeks. In addition, the shipping time for your final package can also take up to 10 days, depending on the shipping method and customs policies in your country. We have no control over a package once it has shipped, and any delays incurred. Please be mindful of this and your mailing date when ordering. Addresses, ugh – probably the most time consuming part about your stationery! For that reason, we are happy to print your guests addresses on your mailing envelopes in matching fonts and colors to compliment your stationery. 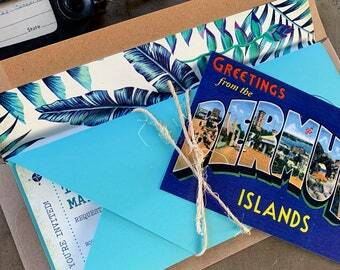 Note we do not print guests addresses directly on postcards, we only print guests addresses on envelopes. There is a $15 set up fee for us to print your guests addresses – this will be listed on your invoice in addition to your design fee. This set up fee includes 1 round of changes (any changes beyond your 2 address proofs will be an additional $10 per proof). Guest address printing is $0.45 per address, return address printing is $0.30 per envelope (there is no charge for printing your return address on postcards or RSVP envelopes).